LEBANON, Tenn. (March 20, 2013) – Award-winning recording artist Steven Curtis Chapman’s new CD with Cracker Barrel Old Country Store®, Deep Roots, debuted at #1 on the Billboard Bluegrass Albums Chart and #2 on the Contemporary Christian Chart. The CD, released on March 11, is available exclusively at all Cracker Barrel Old Country Store® locations, iTunes, crackerbarrel.com and Amazon.com. In support of Deep Roots, Chapman joined his father, brother and son on stage at the historic Grand Ole Opry in Nashville on Saturday, March 16 to entertain a packed house with select songs from the record. He also completed a national satellite media tour, was featured on AOL’s The Boot, AXS Live, Better TV, Salem Radio Networks and more. Fans can catch Chapman on GAC’s Positively GAC on March 24 and March 31 (Easter Sunday) at 7 a.m. ET, and Rural TV’s (FamilyNet) The Rural Evening News at 7:30 p.m. ET. 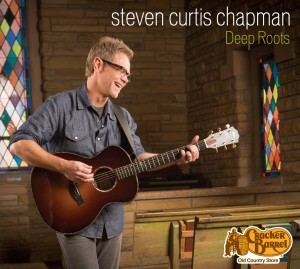 Deep Roots is available at all Cracker Barrel Old Country Store locations and online at crackerbarrel.com, Amazon.com and on iTunes. 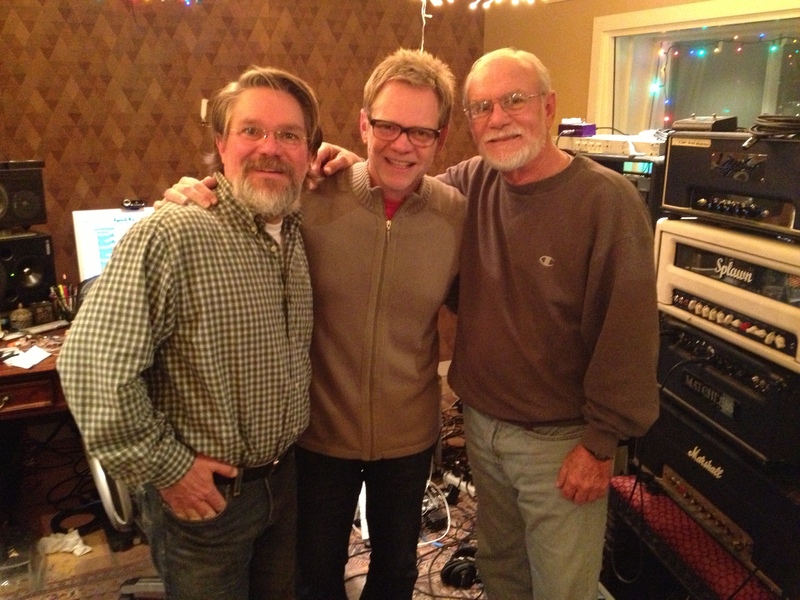 Left to right: Herb Chapman, Jr. (brother), Steven Curtis Chapman, Herb Chapman, Sr. (father). Steven Curtis Chapman has sold over ten million records including two RIAA certified platinum albums and eight RIAA certified gold albums. Along with his five GRAMMY® awards and 16 nominations, Chapman has won an American Music Award, has recorded 47 No. 1 U.S. radio hits and been awarded 57 Dove Awards, more than any other artist to date. Since his recording career began in 1987, Chapman has recorded seventeen projects with Sparrow Records. He has performed at the White House and has appeared on multiple national programs via CBS, NBC, ABC, CNN, MSNBC, CMT, FOX News, the Hallmark Channel and E!, including Good Morning America, Larry King Live, Fox & Friends, Huckabee, CBS Sunday Morning, The Tonight Show with Jay Leno and more. Chapman and his wife Mary Beth created Show Hope in 2001 after bringing their first adopted daughter, Shaohannah, home from China. The ministry’s goal is to help families reduce the financial barrier of adoption, and has provided grants to more than 3,600 families wishing to adopt orphans from around the world. 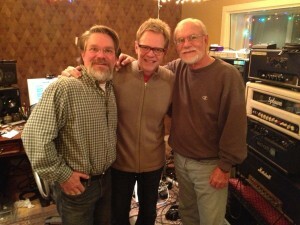 To find out more, please visit stevencurtischapman.com and ShowHope.org.